It seems fitting to begin my debut album with a compositional debut. Peter Maxwell Davies’ Sonata for Trumpet and Piano was not only his first major work, but also the first serious avant-garde sonata written for this combination of instruments. Composed in reaction to the contemporary British music of Britten and his peers, Maxwell Davies’ Sonata is an impressive showpiece for the D Trumpet in dialogue with the piano. The work is composed in three movements: the first is based around a complicated twelve-tone system, the second has a pleading melody that becomes increasingly intense before fading away into the playful, but simultaneously sinister, third movement. Premiered in 1955 by Elgar Howarth and John Ogdon, the Sonata was rejected by the Society for the Promotion of New Music for its aggression and daring musical language, but has now cemented itself as a unique and important work in the trumpet repertoire. Composed only six years earlier, the Sarabande et Finale by Raymond Gallois Montbrun represents the characteristic 20th Century ‘French school’ of trumpet playing. Montbrun contrasts the old and the new by using the regular triple metre time from the classic Sarabande, a slow courtly dance that became hugely popular in 17th-century France, but composing a melodic line that deviates from this pattern. The Finale sparkles with fast semiquavers and builds up to an extraordinary cascading cadenza for solo trumpet before finishing with a blistering Vivo. Alex Woolf’s Direct Message brings us into the 21st Century. Commissioned for this album, Woolf takes inspiration from the traditional role of the trumpet in music, religion and myth as a messenger, but adds a modern twist. He plays with the idea of an online ‘instant-messaging’ exchange by imagining the trumpet and piano as two characters with different approaches to their virtual interaction. While the trumpet is cautious and hesitant at first and struggles to get its message across, seeming to edit its message while delivering it, the piano interjects confidently with its own ideas. The trumpet keeps attempting to return to its original message, presented as a solo in the opening bars, and, after a series of diversions, finally manages to make its voice heard. Légende, written by Romanian composer Georges Enescu, is one of the great masterpieces for trumpet and piano. Having studied at the Paris Conservatoire at the turn of the 20th Century, Enescu composed this work in 1906 for the annual trumpet competition at the Conservatoire and dedicated it to Merri Franquin, the Head of the Trumpet Department. 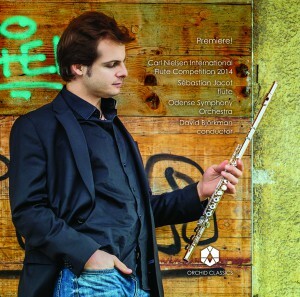 Légende shows off both the lyrical and technical aspects of trumpet playing in a post-impressionistic style, influenced by the tone colours and harmonies of Debussy and his contemporaries. This is particularly evident in the middle section of the work, which uses chromaticism and whole-tone figurations. This outstanding work, boasting especially fine and idiomatic piano writing, is framed by a beautiful lyrical melody which marks the climax with a triumphant iteration in a higher register and closes the work with a nostalgic, distant effect created through the use of the cup mute. Exploring themes of memory and human identity, Deborah Pritchard’s Seven Halts on the Somme is a set of seven short movements written in response to a series of paintings by artist Hughie O’Donoghue. The paintings depict the seven stopping points for the British Army along the Somme during the First World War and Pritchard’s synaesthetic musical response relates directly to the colours used. The work is also written in memory of Pritchard’s father, further heightening the emotional depth of the music. This is particularly evident in the first and last movements in which the solo trumpet performs into the opened piano lid while the sustaining pedal is held. This extraordinary technique gives the work a haunting quality by allowing the piano strings to vibrate and create an extended echo of the music, evoking the distant calls of the trumpet in battle. Premiered in 2014 by Simon Desbruslais and Clare Hammond, it is particularly special to be making the first recording of this work for the centenary celebration of the end of the First World War in 2018. Sangre Viva, by British composer Giles Swayne, explores a more outlandish side to the trumpet. Composed in 2003, the introductory section features many unusual extended techniques such as flutter tonguing, double-pedal notes and tongue slaps. This work was inspired by a lecture given by Federico García Lorca in 1930 entitled ‘Theory and Function of the Duende’. In the Andalusian language, the ‘duende’ is the extra-musical spirit that a particular musician injects into the performance. This is the ‘Sangre Viva’, the ‘living blood’ in a performer that elevates the music beyond the notes and generates an energetic, magical and unique outcome. The main section of the first movement embodies this idea with its jazzy feel that is brought to life by the lively exchange between the trumpet and piano. The second movement is a reflection on a poem entitled ‘Sueño’ (‘Dream’) written by García Lorca on the theme of time, eternity and oblivion. The relentless left hand of the piano ticks like a clock, over the top of which floats a lyrical melody that is both tied to the strict rhythm of the piano, but also transcends it with freedom and rubato. Later in the movement, the trumpet and piano share intertwining melodies and the work ends with an echo of the opening of the first movement. Jacques Castérède’s Sonatine is a tour de force for trumpet and piano. Written for the annual competition for trumpet students at the Paris Conservatoire in 1953, the three movements encompass all the different facets of trumpet playing. The opening movement features angular melodies and large intervals with a harmonic language similar to that of Prokofiev or Shostakovich. By contrast, the middle movement presents pure beauty in the form of a very simple lyrical melody, enhanced by the use of a soft cup mute. The Finale is a lively Rondo with cheeky interplay between the two instruments reminiscent of a game of cat and mouse, and the work ends with a flourish! 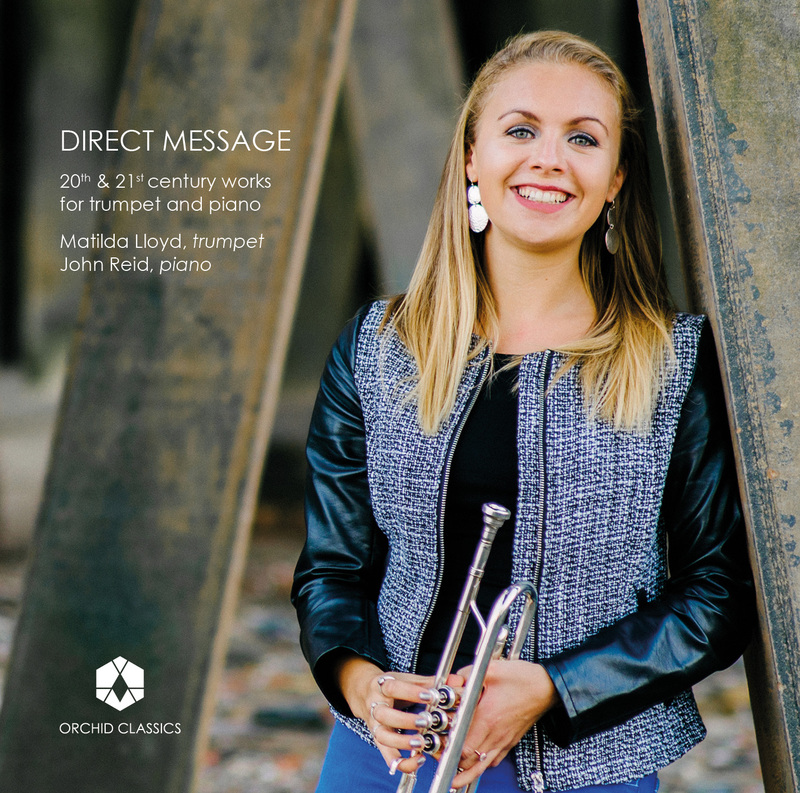 Matilda Lloyd is a young British trumpet player who has already established herself on the classical music scene as a versatile musician with her fine lyrical sound and stylistic flair. In October 2017, aged 22, she won the Éric Aubier International Trumpet Competition in Rouen, France, which has launched her into the spotlight as a rising star. This followed a series of successes including winning both the BBC Radio 2 Young Brass Award and the BBC Young Musician of the Year Brass Final in 2014. In July 2016, Matilda made her BBC Proms solo debut at the Royal Albert Hall with the BBC Philharmonic under the baton of Alpesh Chauhan, where she was praised for her ‘dexterity and élan’ (Classical Source). Captivating audiences with her musical maturity and energy on stage, Matilda regularly performs with leading orchestras such as the Manchester Camerata, the London Mozart Players and the Orchestre de l’Opéra de Rouen, with whom she will be making her international debut tour in France in Spring 2019. Matilda also gives regular recitals throughout the UK at prestigious venues and festivals, including the Wigmore Hall, St. John’s Smith Square, the Ryedale Festival and the Deal Festival. Matilda has performed in masterclasses with the world’s leading trumpeters, including Håkan Hardenberger, Éric Aubier and Wim van Hasselt. Her performances have been broadcast on national TV and radio stations. She has performed twice as a guest soloist on BBC Radio 2’s Friday Night is Music Night with the BBC Concert Orchestra and has also played live on BBC Radio 3’s In Tune and BBC Radio 4’s Woman’s Hour. Alongside her success as a soloist, Matilda has also gained much recognition as an orchestral trumpeter. As Principal Trumpet of both the European Union Youth Orchestra (EUYO) and the National Youth Orchestra of Great Britain, she has worked with some of the world’s most prominent conductors including Bernard Haitink, Gianandrea Noseda, Vasily Petrenko and Edward Gardner. Matilda grew up in Kent and holds a First Class Degree in Music from Trinity College, Cambridge University. She is currently studying for a Masters at the Royal Academy of Music, London, with Mark David, where she holds the Winifred Agnes Disney Award. John Reid‘s career has shown him to be a pianist of notable versatility and range, with wide experience as an outstanding chamber musician, song accompanist, soloist and exponent of new music. In November 2017, he made his concerto debut in Germany with the Deutsche Philharmonie Merck and he continues his collaboration with Aurora Orchestra, both as principal pianist and as a soloist in a series of the complete Mozart concertos at Kings Place in London. Much in demand as a guest pianist with a number of other leading ensembles, he has performed with Birmingham Contemporary Music Group, London Conchord Ensemble, Archangelo, London Haydn Project and The Sixteen. 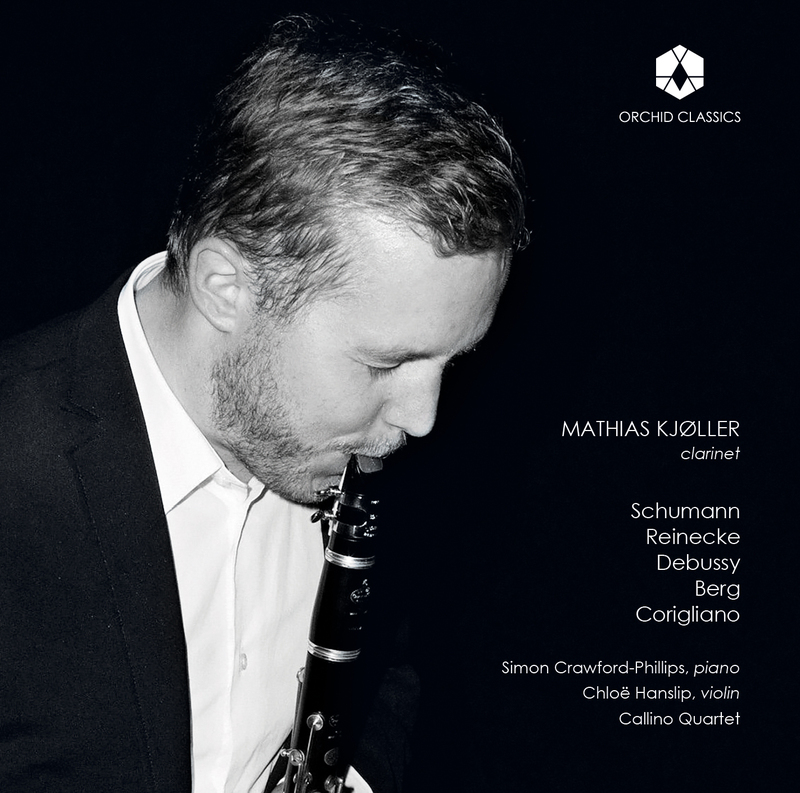 He was invited to programme a concert series for the Britten centenary at Kings Place in London, and he has performed regularly at The Sage Gateshead, both as a guest of the Royal Northern Sinfonia chamber music programme and as a Samling Artist. Over the course of fifteen years, John has partnered with many of the UK’s leading singers and instrumentalists. A parallel interest in cross-arts collaboration has led to concerts with Poet in the City, the writer John Hegley, the flamenco dance group Dot Dot Dot and the artist Will Lindley. Recordings include trios with the Emanuel Ensemble (Champs Hill Records) and premiere recordings of music by Emily Hall, York Bowen, Clifford Benson and Rhian Samuel. He has recorded numerous times for BBC Radio 3. John Reid studied at Clare College, Cambridge and at the Royal Academy of Music with Michael Dussek. His teachers have also included Christine Croshaw, Malcolm Martineau and Rudolf Jansen. He was a recipient of the 2004 Gerald Moore Award and the 2003 Kathleen Ferrier and Maggie Teyte Pianist Prizes, and he is now an Associate of the RAM. Increasingly in demand as a teacher, he is a Professor at the RAM and he coaches ensemble performance at Goldsmiths, University of London.